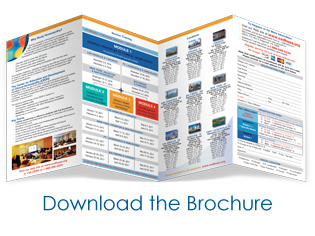 CEDH USA guarantees all products in our online store to be free from defects. If for any reason you are not completely satisfied with your purchase you can return the undamaged product for a full refund within 30 days of shipment excluding original shipping. The return shipping must be paid by the consumer and additionally insured for the full purchase price. Any return must be shipped back in its original packaging. Therefore, please retain all original packaging materials and boxes. Please contact us before shipment for return authorization. For cancellation policy on course registration, please contact us at Ronald.Boyer@CEDH.org. We offer 30 Money Back Guarantee on almost every product we offer. Please call us at 866-550-2334, in advance to obtain an RMA number within 30 days of purchase date. All refunds will be provided as a credit to the credit card used at the time of purchase within five business days upon receipt of the returned merchandise. Please be assured that your items will ship out within two days of purchase. We ship all orders through UPS. Sorry but we cannot ship to P.O. Boxes. All items under $100 qualify for free shipping, while orders above $100 will be charged a flat rate of $7 shipping fee. We process and ship orders only for customers based in the U.S. PLEASE READ THESE TERMS CAREFULLY BEFORE USING THIS WEB SITE THESE TERMS AND CONDITIONS APPLY EXCLUSIVELY TO YOUR ACCESS TO AND USE OF THIS WEB SITE, AND THE SERVICES AND INFORMATION OBTAINED THROUGH THIS WEB SITE, AND DO NOT ALTER THE TERMS OR CONDITIONS OF ANY OTHER AGREEMENT YOU MAY HAVE WITH CEDH OR ITS AFFILIATES. Center for Education and Development of Clinical Homeopathy (“CEDH”) is pleased to provide you with the materials on our Web site (“Web site”) for informational purposes only. Please carefully read these Terms and Conditions relating to your use of this Web site. By using this Web site, you agree to these Terms and Conditions. We reserve the right to change or replace these Terms and Conditions or any portion of them at any time without notice by updating this posting. Your continued use of this Web site after any such changes constitutes your acceptance of the new terms. We encourage you to periodically visit this page to review the current Terms and Conditions that apply to your use of this Web site. IF YOU DO NOT AGREE TO ABIDE BY THESE OR ANY FUTURE TERMS AND CONDITIONS, PLEASE DO NOT USE THIS WEB SITE OR ANY INFORMATION THAT YOU FIND HERE. 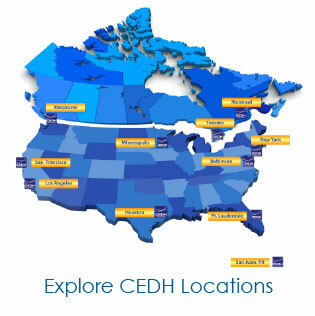 Please note that if you visit the Web site of any other CEDH affiliate or any national or “country” Web sites published and updated by our CEDH affiliates, you will be subject to the Terms and Conditions of Use of such Web site, which may differ from those stated herein. CEDH may terminate, change, suspend or discontinue any aspect of this Web site, including the availability of any features, at any time. CEDH may remove, modify or otherwise change any content, including that of third parties, on or from this Web site. CEDH may impose limits on certain features and services or restrict your access to parts or all of this Web site without notice or liability. CEDH may terminate your use of this Web site at any time in its sole discretion. In compliance with the Children’s Online Privacy Protection Act of 1998, this Web site is not intended or designed to attract children under the age of 13. CEDH does not knowingly collect personally identifiable information via this Web site from visitors in that age group without the explicit consent of a parent or guardian. CEDH collects personally identifiable information, such as names, addresses, e-mail addresses and the like, only when voluntarily provided by a Web site user. CEDH does not want to receive confidential or proprietary or personal medical information through Web site communications. Except as otherwise provided on this Web site, any communication with CEDH’s Web site or any other e-mail transmission to CEDH on this Web site is non-confidential. Except as otherwise provided on this Web site, CEDH has no obligation to refrain from reproducing, publishing or otherwise using third-party information for any purpose, and CEDH may use the content of such communication for CEDH’s own commercial purposes. Whoever transmits any communication to this Web site or otherwise to CEDH is solely responsible for its accuracy and completeness. This Web site is intended to provide a service to users. CEDH respects the privacy of visitors to our Web site and is committed to the protection of their personal information. By using this Web site and completing the following survey, you signify your assent to all of the terms of this Privacy Statement and our General Conditions of Use of the Web site. If you do not agree with any term of this Privacy Statement or our General Conditions of Use, please do not use this Web site or submit personally identifiable information. All rights not expressly granted herein are reserved to CEDH. Copyrights. All content provided on this Web site, including but not limited to design, text, software, technical drawings, configurations, graphics, other files, and their selection and arrangement (“Content”), is owned by or licensed to CEDH and/or its affiliates and protected by United States and international copyright laws. CEDH and its affiliates and licensors retain all proprietary rights to the Content. The Content is intended for your personal, non-commercial use only and may not be modified, copied, distributed, framed, reproduced, republished, downloaded, displayed, posted, transmitted or sold in any form or by any means, in whole or in part, without CEDH’s prior written consent. Unauthorized use is strictly prohibited. You agree that you will not systematically extract, collect or harvest, through electronic means or otherwise, any data or data fields from this Web site, including but not limited to customer identities. Trademarks. All trademarks on this Web site are either trademarks or registered trademarks of CEDH or its affiliates or licensors and may not be copied, imitated or used, in whole or in part, without the prior written consent of CEDH. All page headers, custom graphics, button icons and scripts are service marks, trademarks and/or trade dress of CEDH or its affiliates, and may not be copied, imitated or used, in whole or in part, without the prior written consent of CEDH. Other trademarks, registered trademarks, product names, service marks and company names or logos displayed on this Web site are the property of their respective owners. Nothing contained in this Web site shall be construed as conferring any right or license to any party under any CEDH copyright, trademark, patent or any other intellectual property. * attempt to obtain unauthorized access to this Web site or portions of this Web site, which are restricted from general access. This Web site may, from time to time, contain links to third-party Web sites. These links are provided as a convenience and do not constitute an endorsement, sponsorship or recommendation by CEDH of—or responsibility for—the linked Web sites, any content, services or products available on or through such Web sites, or the companies associated with such Web sites. CEDH does not review or control the content of third-party Web sites. CEDH expressly disclaims any responsibility for the content of any third-party Web sites linked to this Web site. CEDH urges you to use discretion when you access any third-party Web site linked to this Web site. CEDH does not warrant that the functions or informational materials contained in or accessed through this Web site are free of computer viruses or other harmful components. CEDH HAS NOT REVIEWED ALL WEB SITES THAT MAY BE LINKED TO THIS WEB SITE AND DOES NOT ENDORSE AND IS NOT RESPONSIBLE FOR THE CONTENT OF ANY THIRD-PARTY WEB SITE PAGES OR ANY OTHER WEB SITES LINKED TO SUCH WEB SITES. LINKING TO SUCH WEB SITES IS STRICTLY AT YOUR OWN RISK. All content available through this Web site, including but not limited to data, technical drawings, configurations, quote and order information, and product or service listings, is believed to be accurate. HOWEVER, YOU SHOULD INDEPENDENTLY EVALUATE THE ACCURACY OF THE INFORMATION AND THE USEFULNESS FOR YOUR PARTICULAR NEEDS OF ANY CONTENT, PRODUCT OR SERVICE AVAILABLE THROUGH THIS WEB SITE. Products and services are subject to change without notice. CEDH does not guarantee that products or services listed online will be available at the time of your order. All information on this Web site is subject to the disclaimers below. THIS WEB SITE AND THE CONTENT AVAILABLE THROUGH IT ARE PROVIDED ON AN “AS IS” AND “AS AVAILABLE” BASIS FOR INFORMATIONAL PURPOSES ONLY. YOU EXPRESSLY AGREE THAT USE OF THIS WEB SITE, INCLUDING ALL CONTENT, DATA OR SOFTWARE DISTRIBUTED BY, DOWNLOADED OR ACCESSED FROM OR THROUGH THIS WEB SITE, IS AT YOUR SOLE RISK. TO THE FULLEST EXTENT PERMISSIBLE PURSUANT TO APPLICABLE LAW, AND EXCEPT AS EXPRESSLY AGREED TO IN WRITING, CEDH AND ITS AFFILIATES, DISCLAIM ALL WARRANTIES OF ANY KIND, WHETHER EXPRESS OR IMPLIED, INCLUDING BUT NOT LIMITED TO ANY WARRANTY OF MERCHANTABILITY, FITNESS FOR A PARTICULAR PURPOSE AND NON-INFRINGEMENT. CEDH MAKES NO REPRESENTATION OR WARRANTY THAT THIS WEB SITE OR ITS CONTENT WILL MEET YOUR REQUIREMENTS, OR THAT THIS WEB SITE OR ITS CONTENT WILL BE UNINTERRUPTED, TIMELY, SECURE OR ERROR FREE, OR THAT DEFECTS, IF ANY, WILL BE CORRECTED. NOR DOES CEDH MAKE ANY WARRANTY AS TO THE RESULTS THAT MAY BE OBTAINED FROM USE OF THIS WEB SITE OR ITS CONTENT OR AS TO THE ACCURACY, COMPLETENESS OR RELIABILITY OF ANY INFORMATION OBTAINED THROUGH USE OF THIS WEB SITE. EXCEPT AS SPECIFICALLY AGREED TO IN WRITING, UNDER NO CIRCUMSTANCES SHALL CEDH OR ITS AFFILIATES, OFFICERS, DIRECTORS, EMPLOYEES, AGENTS OR SUPPLIERS BE LIABLE TO ANY PARTY FOR ANY DIRECT, INDIRECT, SPECIAL OR CONSEQUENTIAL DAMAGES OR ANY DAMAGES WHATSOEVER WHETHER BASED ON CONTRACT, TORT, NEGLIGENCE, STRICT LIABILITY OR OTHERWISE, FOR ANY USE OF OR THE INABILITY TO USE THIS WEB SITE, OR ANY CONTENT OR SERVICES CONTAINED IN THIS WEB SITE, OR ACCESSIBLE THROUGH THIS WEB SITE, OR ANY WEB SITE LINKED TO THIS WEB SITE, INCLUDING, WITHOUT LIMITATION, DAMAGES FOR LOSS OF PROFITS, USE, DATA OR OTHER INTANGIBLES, EVEN IF CEDH IS EXPRESSLY ADVISED OF THE POSSIBILITY OF SUCH DAMAGES. YOU ACKNOWLEDGE THAT CEDH DOES NOT CONTROL INFORMATION, PRODUCTS OR SERVICES OFFERED BY THIRD PARTIES THROUGH THIS WEB SITE. EXCEPT AS OTHERWISE AGREED IN WRITING, CEDH AND ITS AFFILIATES ASSUME NO RESPONSIBILITY FOR AND MAKE NO WARRANTY OR REPRESENTATION AS TO THE ACCURACY, CURRENCY, COMPLETENESS, RELIABILITY OR USEFULNESS OF ANY ADVICE, OPINION, STATEMENT OR OTHER CONTENT OR OF ANY PRODUCTS OR SERVICES DISTRIBUTED OR MADE AVAILABLE BY THIRD PARTIES, INCLUDING BUT NOT LIMITED TO, FRAMED CONTENT. CEDH ASSUMES NO RESPONSIBILITY FOR ANY DAMAGES (WHETHER DIRECT, INDIRECT, SPECIAL, INCIDENTAL AND CONSEQUENTIAL) SUFFERED BY A USER, INCLUDING, BUT NOT LIMITED TO, LOSS OF DATA FROM DELAYS, NONDELIVERIES OF CONTENT OR E-MAIL, ERRORS, SYSTEM DOWNTIME, MISDELIVERIES OF CONTENT OR E-MAIL, NETWORK OR SYSTEM OUTAGES, FILE CORRUPTION OR SERVICE INTERRUPTIONS CAUSED BY THE NEGLIGENCE OF CEDH, ITS AFFILIATES, ITS LICENSORS OR A USER’S OWN ERRORS AND/OR OMISSIONS. EXCEPT AS SPECIFICALLY AGREED TO IN WRITING OR AS REFLECTED ELSEWHERE ON THIS WEB SITE, CEDH DISCLAIMS ANY WARRANTY OR REPRESENTATION THAT CONFIDENTIALITY OF INFORMATION TRANSMITTED THROUGH THIS WEB SITE WILL BE MAINTAINED. BECAUSE SOME STATES/JURISDICTIONS DO NOT ALLOW THE LIMITATION OR EXCLUSION OF CERTAIN WARRANTIES OR CONDITIONS, THE ABOVE LIMITATIONS MAY NOT APPLY TO ALL USERS. IF A USER OF THIS WEB SITE IS DISSATISFIED WITH ANY PORTION OF THIS WEB SITE, OR WITH ANY OF THESE TERMS AND CONDITIONS OF USE, THE SOLE AND EXCLUSIVE REMEDY FOR THE USER IS TO DISCONTINUE USING THE CEDH WEB SITE. CEDH is not engaged in rendering medical or similar professional services or advice. Any information provided is not intended to replace medical advice offered by a physician. If you desire or need such advice, you should consult a professional healthcare provider. This Web site is controlled and operated from our offices in the commonwealth of Pennsylvania, U.S.A. These Terms and Conditions shall be governed by and construed in accordance with the laws of Pennsylvania, and the federal laws of the United States of America, without giving effect any conflict of laws provisions thereof. You agree to submit to the jurisdiction of the state or federal courts located within Pennsylvania for any dispute related to this Web site. This Web site is based in the U.S. and does not adhere to the regulations of any country or jurisdiction other than the U.S. It is intended for U.S. residents ONLY and as such, product names, descriptions and labeling are of U.S. origin. Products may not be available in all countries. Nothing herein shall be construed as a solicitation or promotion of any product or of an indication of any product that is not authorized by applicable laws and regulations. In addition, you agree that you will comply with all applicable local, state, national and international laws and regulations, including but not limited to United States export restrictions, that relate to your use of or activities on this Web site. IF YOU ARE ACCESSING THIS WEB SITE FROM OUTSIDE THE UNITED STATES, AND ARE RESTRICTED UNDER THE LAW OF YOUR JURISDICTION FROM DOING SO, DO NOT ACCESS OR USE THIS WEB SITE. CEDH MAKES NO REPRESENTATION THAT THIS WEB SITE IS APPROPRIATE OR AVAILABLE FOR USE OUTSIDE THE UNITED STATES. These Terms and Conditions constitute the entire agreement between you and CEDH governing your use of this Web site. These Terms and Conditions shall not be modified except by CEDH as provided herein or through a written document signed by both parties. You agree that any claim arising out of or related to these Terms and Conditions of this Web site must be filed within one year after it arose or be permanently barred. All content provided on this Web site, including the testimonials and graphics, is owned by or licensed to CEDH and/or its affiliates (the “Content”) and protected by United States and international copyright laws. CEDH and its affiliates and licensors retain all proprietary rights to the Content. The Content is intended for your personal use only and may not be reproduced, copied, altered or distributed without the prior written consent of CEDH. 1. The testimonials displayed are given verbatim except for correction of grammatical or typing errors. Some have been shortened where the testimonial was lengthy or portions were repetitive. 2. The customer testimonials are actually received from our customers. They are individual experiences by persons who have used our products. However, the effectiveness of our products varies depending on each customer’s situation. Therefore, these testimonials and case histories reflect individual results and CEDH does not claim that they are typical results you should expect to achieve. 3. The expert testimonials and endorsements are actually received from medical professionals, whose qualifications give him or her the expertise that he or she is represented as possessing. The testimonials and endorsements are supported by the respective medical professional’s actual exercise of his or her expertise in evaluating the product features or characteristics with respect to which he or she is an expert and which are both relevant to an ordinary consumer’s use of or experience with the product and also are available to the ordinary consumer. Furthermore, the testimonials and endorsements are supported by an actual evaluation, examination or testing of the product that is at least as extensive as that an expert in the field would normally conduct in order to support the conclusions presented in the endorsement or testimonial. – financial or equity interest in CEDH or its affiliates.